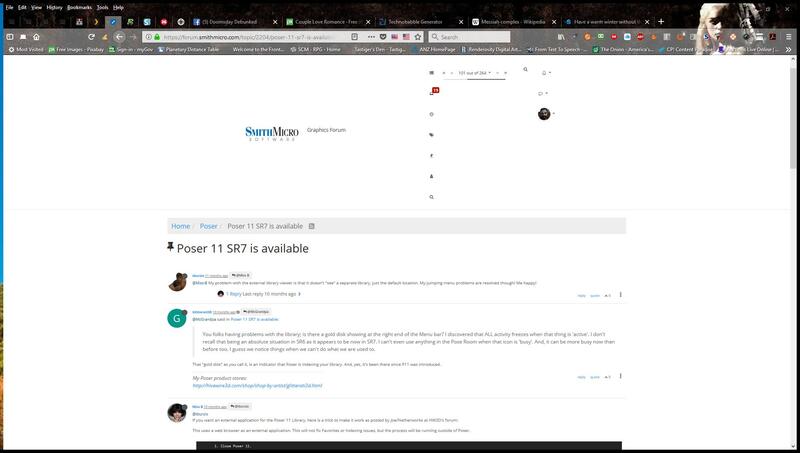 @tastiger We've been having problems with the forums stylesheet, as a good many of us who were using dark themes were suddenly blinded with black text on a bright white background. What most of us are now using is an add-on called Dark Mode, which is available for Firefox, Opera, Chrome, and maybe a few other browsers. I have it for Firefox and Opera. Try it out, as I'm pretty sure that will fix the issues you're seeing. Actually, I'm good in Chrome, Fire Fox AND Explorer. @rokketman That's probably why Rokket. I can't deal with bright white backgrounds on web pages. It's just blinding, so all my forums are set up with darker themes. Not necessarily black, but definitely, at the very least, a very dark grey. Yeah the problems come in if you use one of the site themes instead of the default. So if you want the site to appear without all the extra spaces and garbled stuff, switch to the default (blinding white) theme, and use a browser plugin that allows you to change the theme otherwise. Using the default setting fixed the issue - many thanks to all that responded..